TransTactical is a Strategic Service of TransGroup Global Logistics that specializes in the secure and direct movement of goods into the most volatile conflict areas of the world. 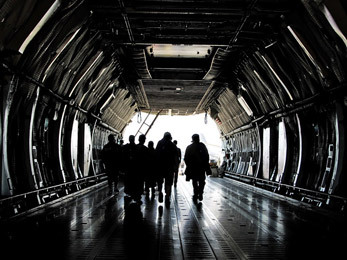 TransTactical is an integral component for key transportation and supply chain management for Department of Defense, United States Department of State, Foreign Military, Major Defense Contractors and Private Security Contractors. Our highly skilled staff is comprised of the best-of-the-best, experienced in direct conflict logistics providing advanced operations and down-range support worldwide. Whether your contract requires the movement of weapons and ammunition to Kabul, Afghanistan, or armored vehicles and night vision equipment into Mogadishu, Somalia, your TransTactical staff provides the highest level of around-the-clock support and service. TransTactical offers more options into the Afghanistan region. Standard and Expedited Armed Convoy Security Services from either the Reopened Karachi Supply Route, or the Secure and Efficient Northern Distribution Route (NDN). TransTactical has the Widest Range of High-Security Logistical Options & Support into Africa's Key Conflict Locations. Direct Service and Operations in Libya, Somalia, Kenya, Uganda, Sudan, Djibouti, Ethiopia, Congo DRC, Sierra Leone, Mali, Senegal, Ghana, and other locations. Special Security Division that specializes in handling ITAR Controlled Material, Weapons, Ammo, Explosives, Body Armor, Night Vision Technology, Armored Vehicles, and many more. We provide every conceivable level of service from our standard logistical services to around-the-clock aircraft accessibility providing you more flexibility and immediate down range support. Full Expedited Ocean Services to all Conflict Locations Worldwide. We provide Standard Container Services, RoRo Multipurpose Vessels, Landing Crafts with Bunker Ability, Full Crane Operations, and Ocean Charter Vessel Options.